A new sports bar with a Cajun flair has opened its doors in the neighborhood. The fresh arrival, called Doberman's Bar & Grill, is located at 519 Shepherd Drive in the Heights. 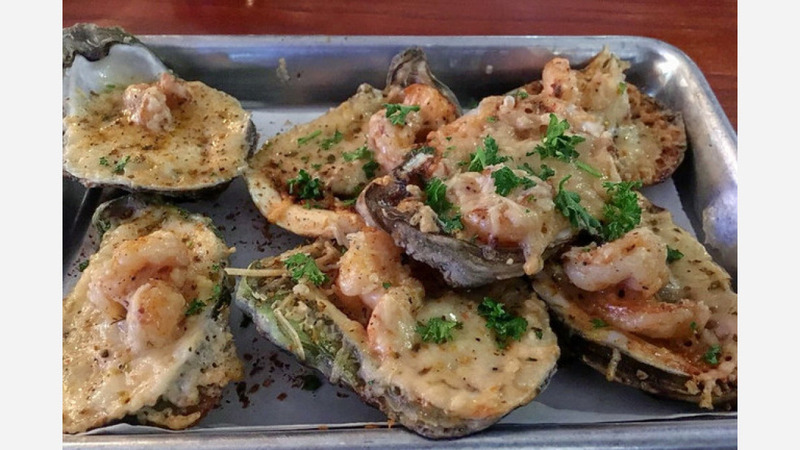 Along with an all-local selection of craft beer, Doberman's offers Cajun-inflected food options like the French kiss oysters, seafood grits, and spicy brussels sprouts. The bar also serves brunch on the weekends, with take out available on request. Doberman's has already attracted fans thus far, with a five-star rating out of 11 reviews on Yelp. Tina C., who was among the first Yelpers to review the new spot on May 12, said, "The French kiss oysters are a must. The street corn did not disappoint. I'm a lover of Brussels sprouts, so the Cajun sprouts hit the spot." Yelper Rich S., who was skeptical of the new bar at first, admitted, "They quickly changed my mind. First, they have almost every Houston microbrew on tap. It was Derby Day so they had mint juleps pre-made. We ordered the avocado fries (which were actually slices of avocado deep fried): delicious! " "If you like grits, I promise you that you'll want to bathe in these," said Kerri M. of the Doberman Fresh Catch. "Fantastically friendly staff, large selection of beer, tons of televisions to cheer on our Astros, and -- compared to other local spots -- prices that'll make your wallet happy." Head on over to check it out: Doberman's Bar & Grill is open from 11 a.m.-11 p.m. Monday-Thursday, 11 a.m.-midnight Friday and Saturday, and 10 a.m.-10 p.m. on Sunday.